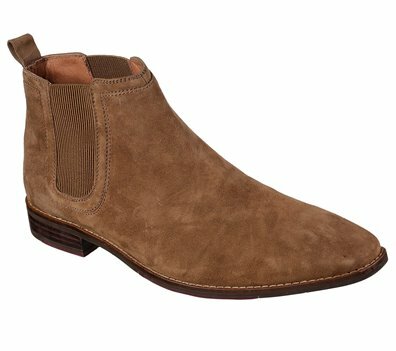 Redefine the chelsea boot look with bonus comfort in the Mark Nason Dorsey boot. Soft smooth premium suede upper in a slip on dress casual low ankle height chelsea boot with stitching and overlay accents. Air Cooled Memory Foam insole.